A Sure-Fire List to Help Motivate Your Inner Writer Into Actually Writing! Follow This List Carefully and You Will Be Writing Again! Have I done a list lately? I should keep a list of the lists I list. Or is that list the lists I keep? In a writing slump? 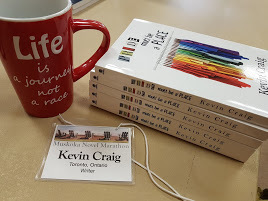 Finding it hard to finish that Great Canadian (American, Armenian or otherwise) Novel? Trying to dedicate more time to writing this year because you’re one of those people who makes New Year Resolutions? 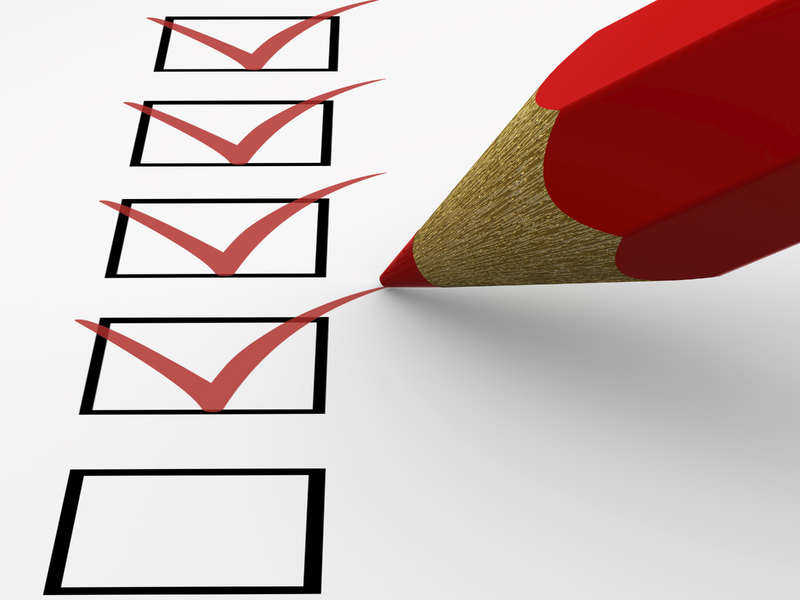 Follow this list to a tee and you should find yourself back on the writing wagon. If you’re already on the writing wagon and you follow this list, you will find yourself even more connected to your writing. My point? Follow this list and you will write more. Turn OFF the social media and Click the to OFF. I know it’s impossible to imagine, but these things are distractions…killers of the imagination, even while they are stimulating it. If you follow this first item in this list, you will significantly increase your outflow of words. The increase could quite possibly be tenfold. See the first item in this list. Quite frankly, if you got this far in the list you aren’t following the steps properly. ARE YOU STILL HERE. Stop reading this. Turn off the internet and write. Don’t make me yell at you. SIT. WRITE. Open only one window…whatever program it is you use to write with. I’m gonna keep this list short and to the point. Only 5 items. Item 5 is CLOSE THIS WINDOW. SIT. WRITE. <<This advice works if you’re a beginner writer, or if you’re someone like that up-and-comer Stephen King…who has a couple books under his belt. If you’re still here, clearly you’re not heeding my warnings. If you’d rather read than write, click on the image below to get yourself over to GOODREADS to enter to win a paperback copy of my latest novel, BURN BABY BURN BABY. The contest ends JANUARY 11, 2015! 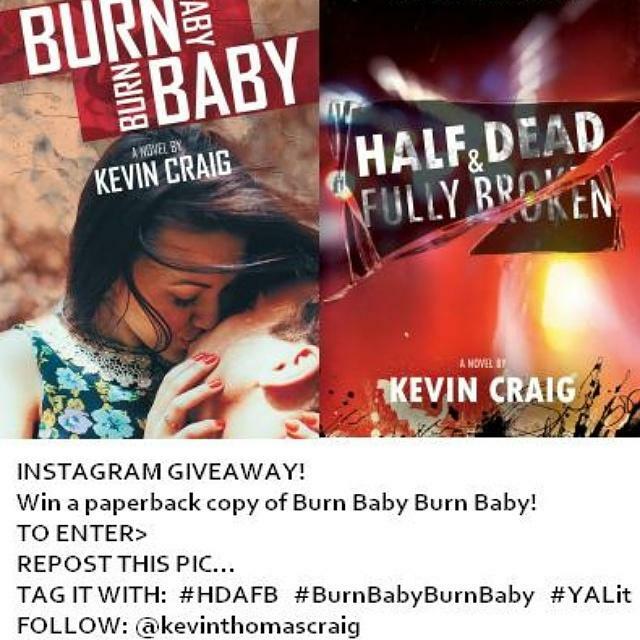 If you’re on INSTAGRAM, follow the steps in the picture below to win a paperback copy of BURN BABY BURN BABY in the INSTAGRAM contest! The easiest way to enter this one would be to go to Instagram and repost this image from my account. Instagram is sometimes tricky with resizing, etc. Follow the Directions in this image to enter to win a paperback of Burn Baby Burn Baby on Instagram! Okay…now there is still a chance for you. Turn it all off. SIT. WRITE. That’s it. That’s all you have to do. No magical equation. No tricks or gimmicks. To write more all you need to do is write more. One word in front of the other without the everyday distractions that weigh you down and mess with your creativity and drive. SIT. WRITE. Zuzu’s Petals! Make Your Magic Authentic to Your Readers! ZUZU’S PETALS. They are perhaps the most glorious evidence of magic that we have in the universe today. Let’s just go right to it, shall we. Behold! Zuzu’s petals! Aren’t they glorious!? The most beautifully gorgeous symbolism in all of moviedom! Yes…I’m excited. Of course I’m excited. I get excited every time I think about those petals. And tis the season. In the above picture you will see Zuzu Bailey and her father George Bailey. They are characters in the movie IT’S A WONDERFUL LIFE. Zuzu’s story is a sad one. But it’s also one that is, at first glance, such a small insignificant role in the vast scheme of things. At first glance. I’m going to forgo the announcement that a spoiler follows here. Because all but maybe one of you have seen It’s a Wonderful Life. Zuzu comes home from school with a beautiful flower and can’t wait to show her father. But some of the petals have fallen off. George, in his infinite desire to please everyone–and especially his lovely Zuzu–pretends to reattach the petals. But he secretly slips them into his pocket. Zuzu’s tragedy is averted, and her love and adoration for her father grows three sizes that day. Her flower is returned to its beautiful self and her tears retreat. George Bailey then falls into the rabbit hole. He is taken into a world that would be the world how it would exist if he had never been born. It’s a much bleaker, darker world. It’s quite frankly a terrible world. It’s also a world in which Zuzu’s petals do not exist–no George means no Zuzu. Folks, don’t ever shout to the universe, “I WISH I WAS NEVER BORN!” That’s a rabbit hole you will not want to go down, right there. As the movie wraps up, George is allowed to reverse his error and come back into the world he left behind. He has seen the vast changes his life-force has created in the world. He knows that the third rock from the sun is a better place with him in it. His faith in humanity is restored and he feels glorious. Of course, he must be thinking, ‘Wow. What an awesome dream!‘ Because something otherworldly like that just can’t happen, right? But lo and behold…George Bailey reaches into his pocket and what does he find there? You guessed it! ZUZU’S PETALS. They were a huge symbol the whole time. Right in front of our noses. George IS. And how does he know he is? Because ZUZU is. Because…Zuzu’s petals! Today’s lesson for writers is simple. In truth, I just wanted an excuse to talk about Zuzu’s petals. Because they’re glorious and what not. 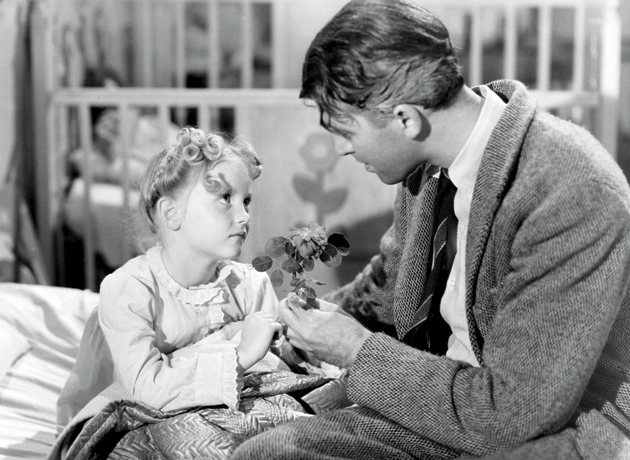 Firstly, did you know that It’s a Wonderful Life is based on a short story called The Greatest Gift. Written by Philip Van Doren Stern, it was privately published. I have to wonder if that means self-published. I don’t know about you…but I eat that stuff up. I was just a child when I first watched It’s a Wonderful Life. And, for me…the most magical part wasn’t George suddenly running through a town that was COMPLETELY DIFFERENT than the same town we were just previously shown. The most magical part wasn’t the way people who lived as adults had suddenly died as children and lived-in houses became empty haunted spaces and even the TOWN became renamed in the blink of an eye. The most magical part were those petals. Placed lovingly into a pocket in the most subtle way…so that I would both remember their significance and forget their significance. Those petals were a glorious flower themselves…planted as a seed in a threadbare pocket. And when they blossomed, when George reached into his pocket and discovered those beautiful babies…well, my world stopped. So the lesson for writers today is this—do that! Give your readers a whole boatload of Zuzu’s petals. Be like Hansel and Gretel. Leave glorious breadcrumbs throughout your story…breadcrumbs that will validate the story itself, make it more authentic. Every reader loves a great AHA moment. Just don’t manipulate them. Your breadcrumbs can’t have huge glowing neon signs on them that scream, “LOOK AT ME!” They need only be a few crumpled petals placed lovingly in a pocket in an effort to staunch the tears of a loved one. For me, the chatter that takes place between the pages of a book is the most important part of the book. The connecting prose is merely the scaffolding, if you will. There could be quite a few things wrong with a book, but if the talk is authentic it can still have legs. Yes, as writers we should concentrate on ALL aspects of our craft. It is incumbent upon us to do so. But I honestly believe there should be extra emphasis on the dialogue. The minute that becomes inauthentic and weighty, the book starts to take on water. Bad dialogue? It may never recover. For me, it’s the most inexcusable flaw in story. That’s why we should pay extra close attention to the words we choose to put in our characters’ mouths. Those words carry a LOT of weight! 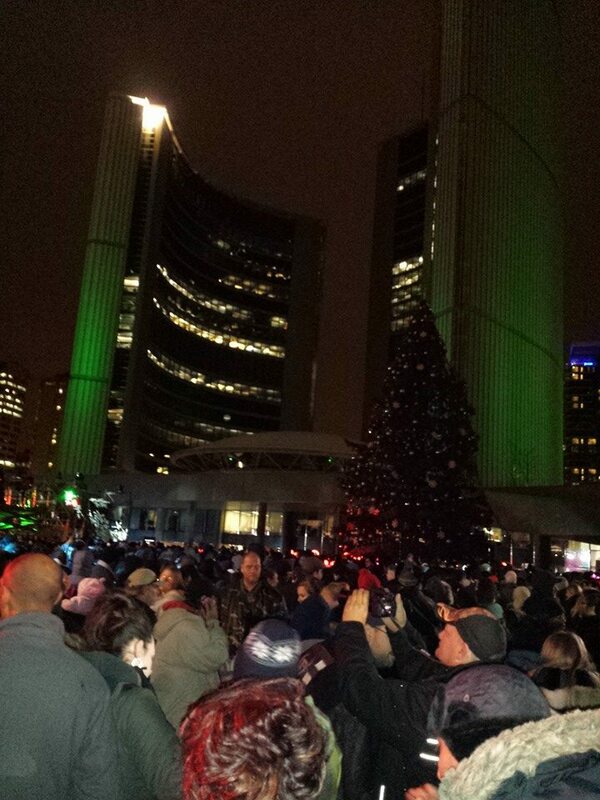 Toronto City Hall Festival of Lights – The Secret to Writing Good Dialogue is to make yourself a part of the crowd. LISTEN. Then write! It’s been a while, so… time for a list. Sorry about the list title. Every once in a while I like to make my writing readers twitch. I know that title is going to make someone scream. The FIRST step to writing excellent dialogue is LISTENING. It’s an easy step and it’s one you can do anywhere, anytime, anyhow. You don’t need any props or expensive equipment. Just plop yourself down somewhere and lend an ear to the environment in which you happened to have plopped. Great places in my Dialogue Listening Toolbox? DLT™ 🙂 My favourite for a while was Arrivals at the airport. Man, the dialogue! 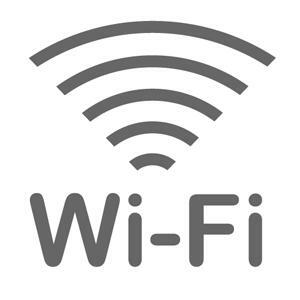 Coffee Shops, Subway Stations, Bars, Office Water Coolers, Hospital Emergency Waiting Rooms. You see where I’m going here, right. Anywhere! Just go somewhere where there are lots of people. Sit. Listen. Use slang and bastardized language at the proper acceptance threshold. Don’t weigh down your dialogue with an excruciatingly heavy amount of bastardized language or dialects. Just enough to suggest to the reader that it’s there. The only place I accept ANYWAYS ever is in dialogue. I do NOT consider ANYWAYS to be a word. In fact, the dictionary usually says this of ANYWAYS: informal or dialect form of anyway. So slang-a-lang-a-ding-dong is acceptable in dialogue. Because people use it. People hyphenate and shorten and murder words when they speak. So it is acceptable in dialogue. Don’t pepper it into your prose outside of those quotation marks, though! READ YOUR DIALOGUE OUT LOUD. Do NOT ignore this crucial step. I cannot help you, if you do. I consider it absolutely imperative to read dialogue out loud. It is unforgivable not to. If, when you’re reading it alive, you think, “NOBODY WOULD ACTUALLY SAY THIS. NOT THIS WAY.”, then you will know why this step is so important. And it will happen. I don’t think anybody writes perfect dialogue in a first pass. READ. IT. OUT. LOUD. If you have friends who will read it aloud with you, all the better. Sit together and go over the dialogue parts of your manuscript like you would a play reading. Don’t be afraid to murder your dialogue darlings. Sometimes, as writers, we write the perfect sentence. Then we sit back and bask in the warmth of the glow coming off that sentence. But quite often that stellar sentence is as useless as bark on a donkey. CUT IT! If your character gave some brilliant soliloquy that is just shining with the beauty of our language, but said soliloquy kills the flow of story by taking the reader out of its depth, SLASH IT. It’s your beautiful darling, but it just hiccupped your reader. Don’t do that! I don’t really have a #5 so I will just leave you with this. SAID rules! Now get out there and LISTEN. It’s easy. SIT AND LISTEN. Then… SIT AND WRITE. Leftbank Writers Retreat – THE Perfect Christmas Gift for the Writer on Your List! Or Treat YOURSELF! It’s DECEMBER. Some of us are finished our Christmas shopping. Others will start it on the 24th. I’m somewhere in the middle of the spectrum when it comes to Christmas gift shopping. I have begun. 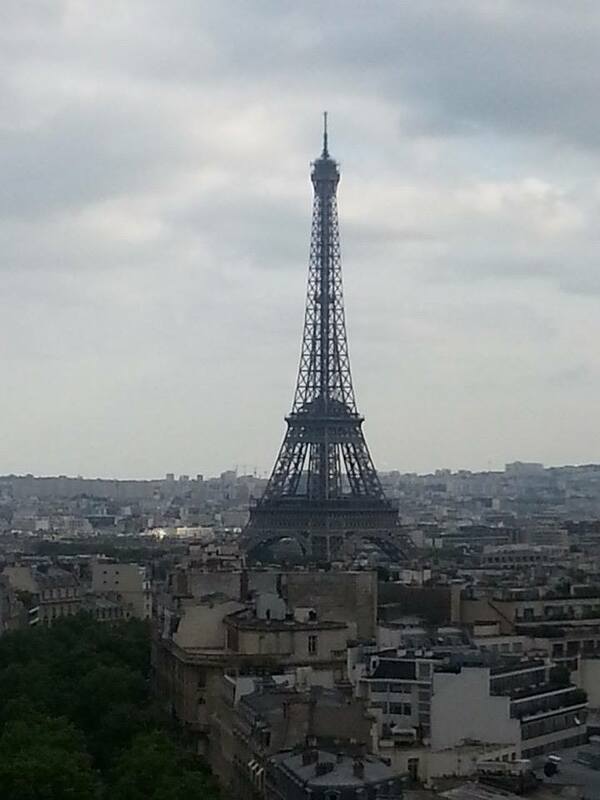 As some of you may know, I went to Paris in June of this year. It wasn’t an ordinary Paris trip, though. I went for a writing workshop. As a HUGE fan of Ernest Hemingway’s A MOVEABLE FEAST, I always had the desire not only to see Paris…but to see it in the footsteps of Hemingway. I Googled Hemingway’s Paris writing retreat about a year ago. As is often the case, Google struck gold. On the first page of my search, LEFT BANK WRITERS RETREAT IN PARIS came up. I knew within a minute of clicking on the website that I had found what I was looking for. I saw Hemingway’s Paris, I wrote in the Tuileries and in the Luxembourg Gardens, I saw the city from atop the Eiffel Tower, I wandered museums, I strolled down the Champs-Élysées, and I climbed the great spiral staircase to the top of the Arc de Triomphe. I did it all. 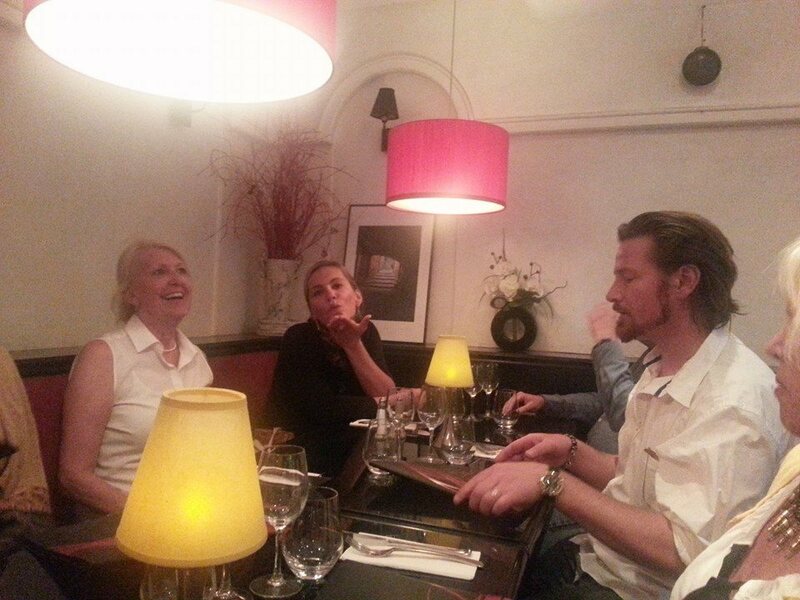 In this unique writing retreat, writers have the opportunity to explore Paris on their own during the evening. There is nothing more beautiful than walking the streets of Paris while the sun is setting! Doing so after a full day of living the writing life is even more extraordinary! 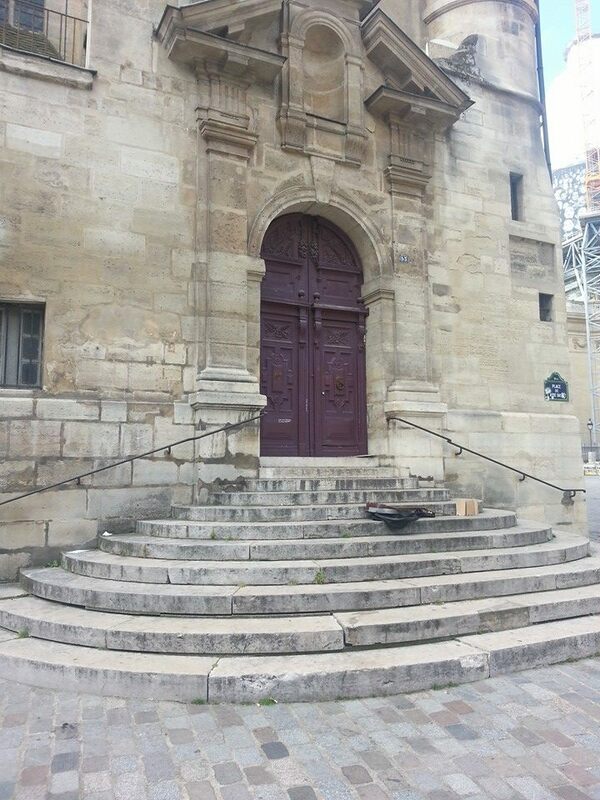 The retreat is perfect for first time visitors to Paris, as well as those returning to the city of love and light. 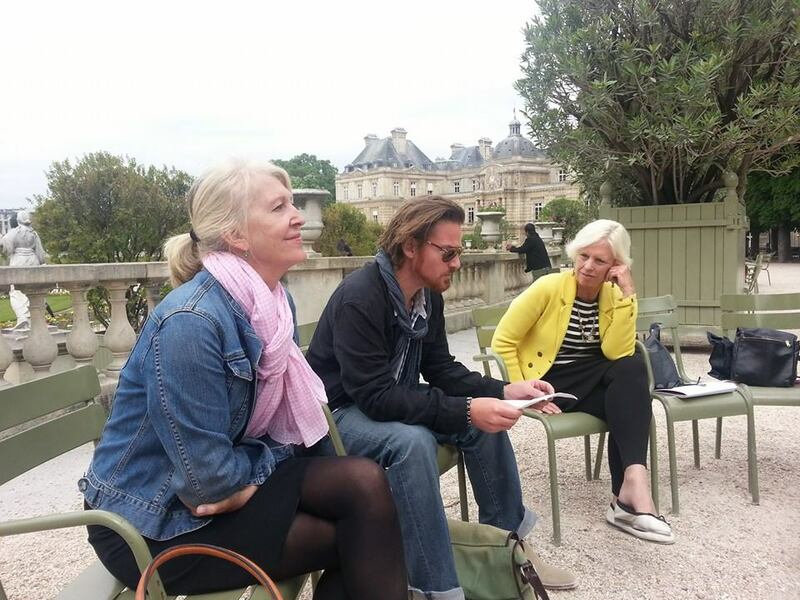 For first timers, not only will you be taken through Hemingway’s Paris in the embrace of tour organizer Darla Worden and her amazing faculty Sarah Sazur and Travis Cebula during the day, but you will also have the nights to explore Paris on your own. 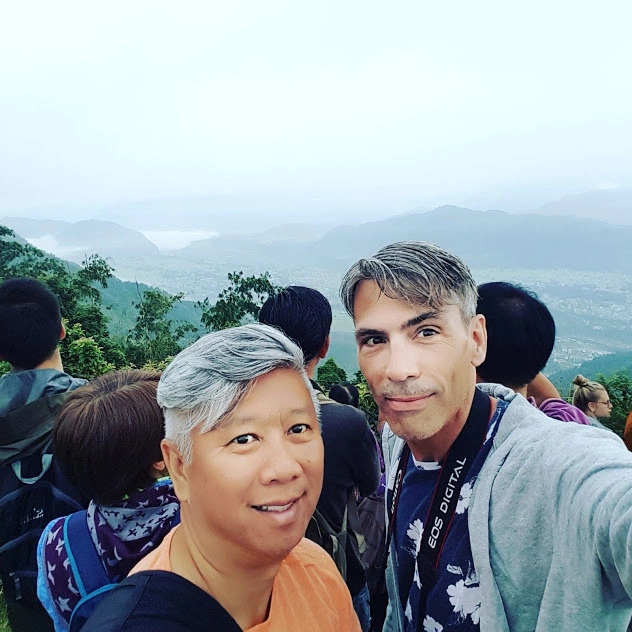 And all three faculty members are amazingly knowledgeable on all things Paris…and extremely helpful at making suggestions and offering directions, etc. I never once felt abandoned during my stay. It was wonderful to have the evenings to ourselves after our days of writing and museum hoping and neighbourhood visiting. And there was always someone from the group to share the evening experiences with. Left Bank Writers Retreat Founder Darla Worden, Faculty Member Travis Cebula, and 2014 Alum Nina Welsh. 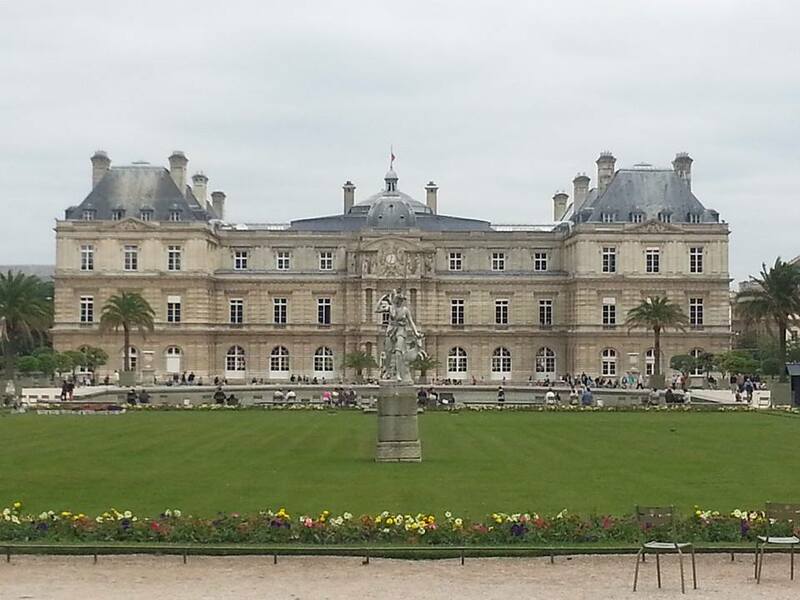 Writing and Learning in the Luxembourg Gardens! If you are a writer, now is the time to spoil yourself for Christmas! The Left Bank Writers Retreat is currently offering a discount! So treat yourself while the deal is on. You will NOT regret it. I loved it so much, I plan to attend this retreat again in the future. The Left Bank Writers Retreat faculty take writers to these magical steps, where Gil was whisked off into the 1920s in the movie Midnight In Paris! If you have a loved one who is a writer, this is the perfect Christmas gift for them. 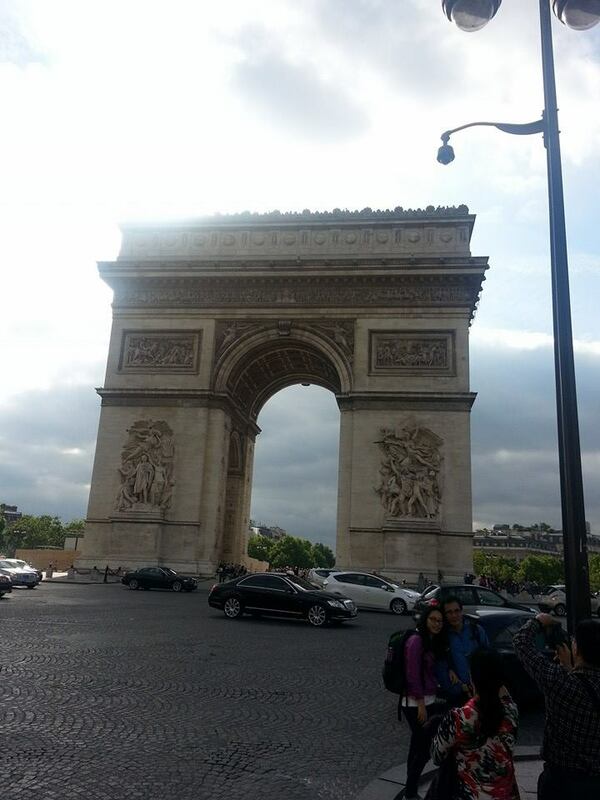 I promise you, they will love this enriching experience in the city of love and light. Paris changes you. Paris through the wonder of the Left Bank Writers Retreat, done in the shadow of Ernest Hemingway, changes you on an even deeper level. Give the gift that will give back to the writer in your life for years to come. 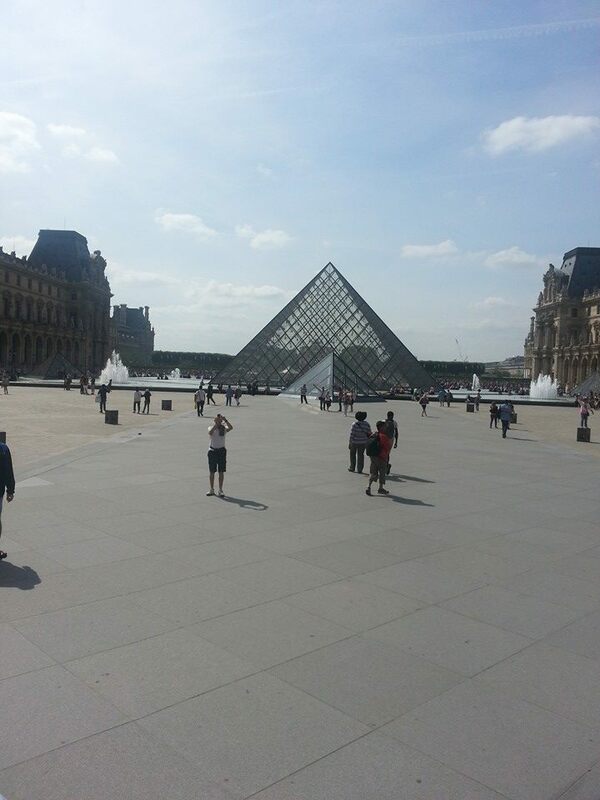 As writers on the loose in the evenings of Paris, you could visit the Louvre! If you walk straight from the pyramid, through the Tuileries beyond, you will find yourself strolling on the Champs-Elysees. This will eventually take you to the foot of the Arc de Triomphe, where you can walk to the top and view the city in all its splendour! Forget the fancy pens and notebooks. This year’s best holiday gift for writers is six days at the Left Bank Writers Retreat, a small-group summer writing workshop held in Paris each summer. A $200 discount on registration for this year’s retreat, to be held June 14-19, 2015 – on any registration made by January 1, 2015 – makes the deal sweeter for gift givers. The retreat welcomes fiction and memoir writers, poets and playwrights. A place in the 2015 retreat can be held with a $500 deposit. What trip to Paris would be complete without a visit to the Eiffel Tower. The Left Bank Writers Retreat included a boat ride down the Seine where we viewed the Tower from the river. Later, on our own, a fellow alum and myself made our way to the tower for our own personal exploration up close and atop! Give the writer on your list a gift that will last forever. Give them Darla. And Sarah. And Travis. Give them Hemingway’s Paris! Darla Worden, Sarah Suzor, and Travis Cebula — collectively, the magic behind the Left Bank Writers Retreat! I have made the move. And it feels great. I wasn’t sure if it would work out or not, but I’m LOVING it! No more laptop, no more desktop. No more pens, no more pencils, no more books…no more teacher’s dirty looks. Oops. I didn’t mean to go there. It just happened. What I’m trying to say is I made the switch from laptop to tablet. And I’m loving it. When I got my new tablet, the first thing I thought of was writing. I was excited to get the closest app to MSWord and see if it would work for me. I immediately downloaded the free version of OfficeSuite, and loaded my latest manuscript to the app to see what I could see. It’s a go. The onscreen keyboard works well, the functions are similar enough in the app that I was comfortable transitioning without feeling lost in new technology. I began editing and writing. And I did so for a couple of days. Once I was sure that I could work in the new environment, I upgraded to the full version of OfficeSuite. For $21 a year, I felt it was well worth the investment. 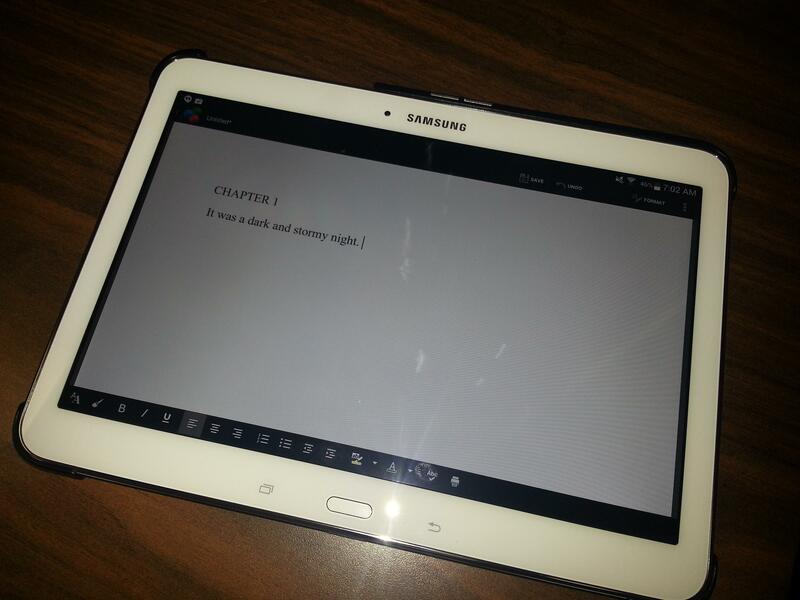 I now have writing on the go. Right there at my fingertips, wherever I am. It feels liberating. That laptop–at least in my mind–was beginning to weigh a thousand pounds. With the tablet, and its functioning and acceptable 10″ screen, I have the freedom of mobility with the comfort of a bigger size than the smartphone I was considering using as my go-to writing implement. Yesterday I talked about writers and community by sharing some information about the writing community I myself am entrenched in. Today, I wanted to talk about the solitary life of the writer. Because when it comes right down to it, we need to be solitary while in the thick of things. Putting words on the screen is done by a committee of one. In today’s social media based universe, it is becoming more and more difficult to focus long enough to put words on the screen when those words are in a manuscript. IF you’re easily distracted. Guess what. I’m extremely easily distracted. I could easily write 3,000 words in an afternoon. And suddenly realize that all 3,000 words were shot off into the social media stratosphere…while my manuscript lies dormant. That’s not a good thing. I sometimes wonder how many of Mark Twain’s short stories (or novels, for that matter) would not have been written had he had a Twitter account and/or a Facebook account. Wondering about things is what often gets me into trouble. If I had my TWENTY MINUTES back every time I wondered about something and ran to Google, only to be lost in a vortex of wondering and searching and reading, I would have hours of writing time accumulated. I’d be able to write a novel in one sitting with that lost time. Sadly, lost time stays lost. One of the biggest skills a writer can possess in today’s information epoch is CONCENTRATION and an unflappable ability to FOCUS. Please God, give me focus! I sometimes go days…no, weeks…without opening a manuscript. I intend on writing every day. I used to write every day religiously. I still conceptualize myself as a person who writes every day. Man, I’m bad. I have this ONE THING. And I mess it up. And what am I doing about it. Writing about the fact that I’m not writing. I’m participating in the social media phenomenon of blogging as a way to distract myself from writing. I feel like somewhere inside that runaround logic I should declare myself a winner. But if I stand up and shout to the universe, “WINNING!” I might be declared insane. What I need to do is give myself structure so that I’m back to an every day writing schedule. Maybe I can limit my social media time better if I schedule it. Maybe I can fly to the moon with the wings on my back, too. Above, you will see exhibit A. I offer this as proof that some of the world’s greatest writers are being gobbled up by their own egotistical need to spam, blather, purge, gab, selfie themselves, and pontificate on social media. I came up with the theory and it took about six seconds on Google to prove it! When was the last time you witnessed new work from Mark Twain? It’s been a while, hasn’t it?! Yet, he has all the time in the world to tweet about his life. He’d rather tweet past quotes and reflections than sit down and put new words to the screen. 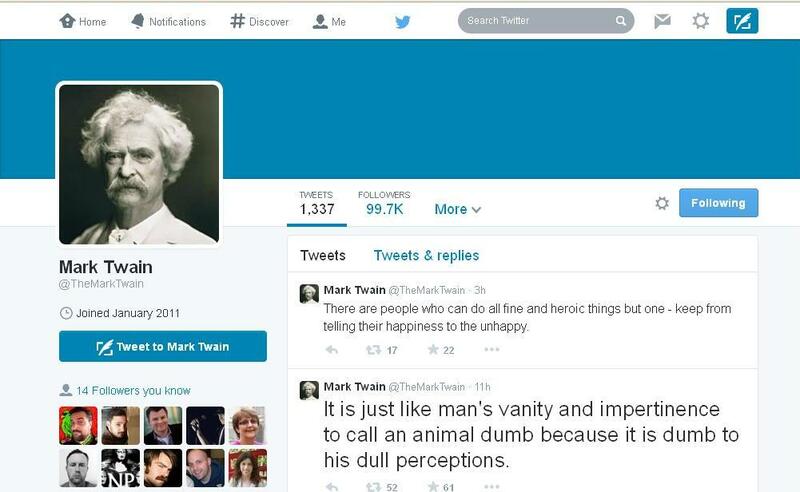 Social media has swallowed Mark Twain whole. We may never see another new work by this great author. WHY? Because he’s too busy tweeting, Facebooking, and pontificating. I won’t even search out his snapchat account. Heaven help us! It’s time to take a pass on some of the distractions of the modern social media frenzy. Give yourself a daily scheduled block of time where you ONLY work on your Work-In-Progress. Don’t multitask inside this time-frame. Choose writing! Leave all your other windows closed…because you know if you don’t a little birdie is going to fly in at just the right moment to take you away from your work at hand. Twitter can wait. Facebook can wait. Blogging can wait. Tumblr can wait. Forums can wait. The NYT can even wait. Make YOUR writing the priority…at least once a day. Remember that it’s great to be social. Writers together is an awesome thing. To a point. Sooner or later you need to leave the party long enough to write. Writing–the actual act–is solitary. By design. Like I said. Sit. Write.